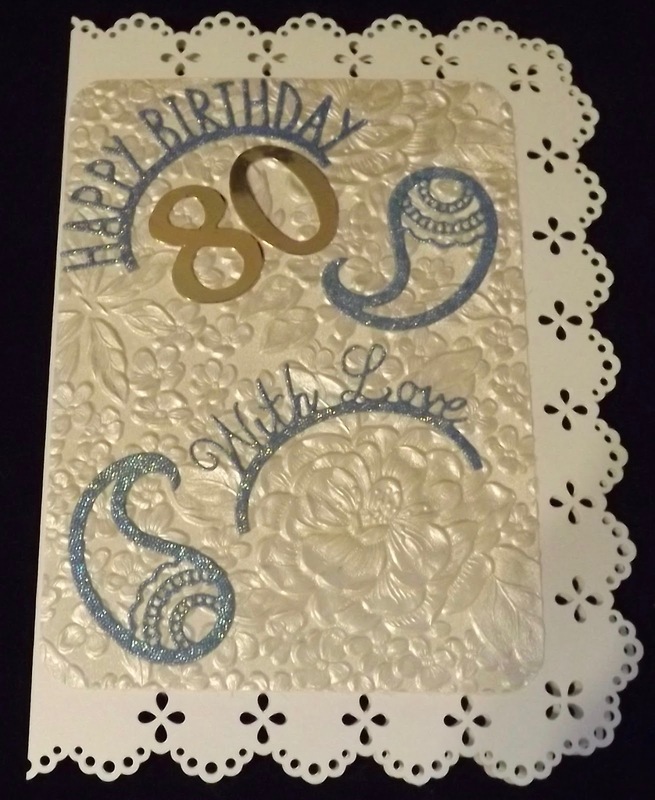 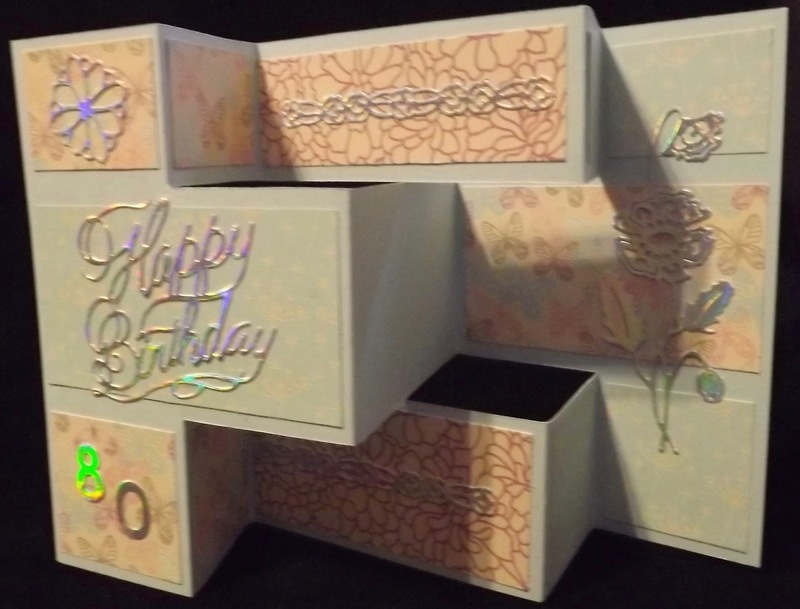 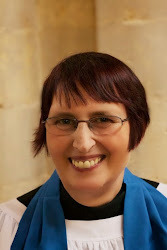 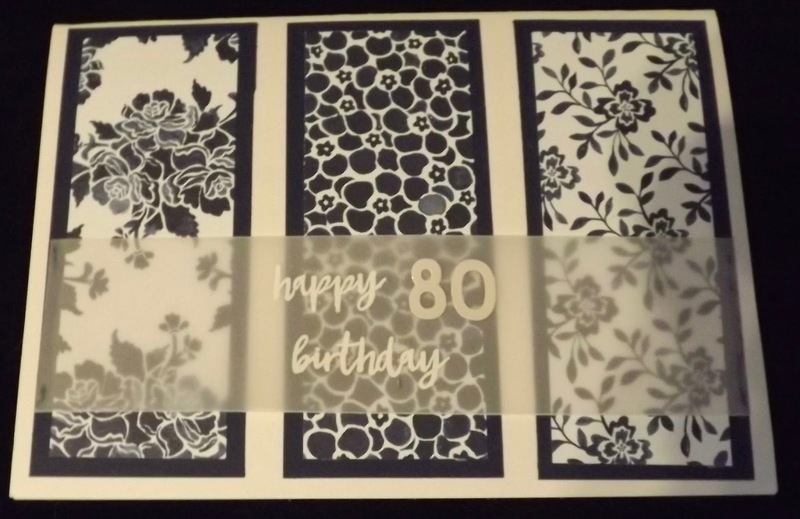 This week saw the 80th birthday of one of the ladies at church and I was asked to make some cards. 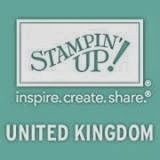 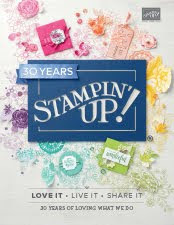 This one is made with all Stampin; Up! materials and was also featured last week as it features heat embossing. 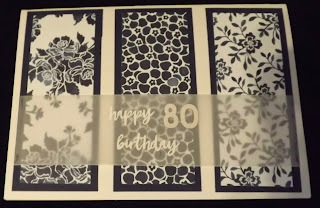 These two feature Tattered Lace dies. 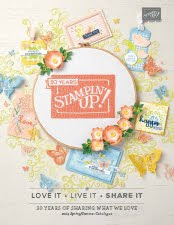 Foe this one the card and DSP is from Stampin' Up!. 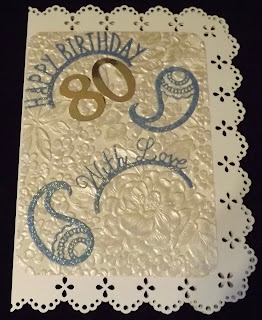 For this one the paper and card is from Create and Craft.